Sunday, despite the weather, Brock barbecued us some burgers – which are especially tasty in winter for some reason, Monday it was just the girls and I and leftovers and Tuesday we took them out for a fun birthday dinner (they wanted pancakes, so the restaurant put candles in them). 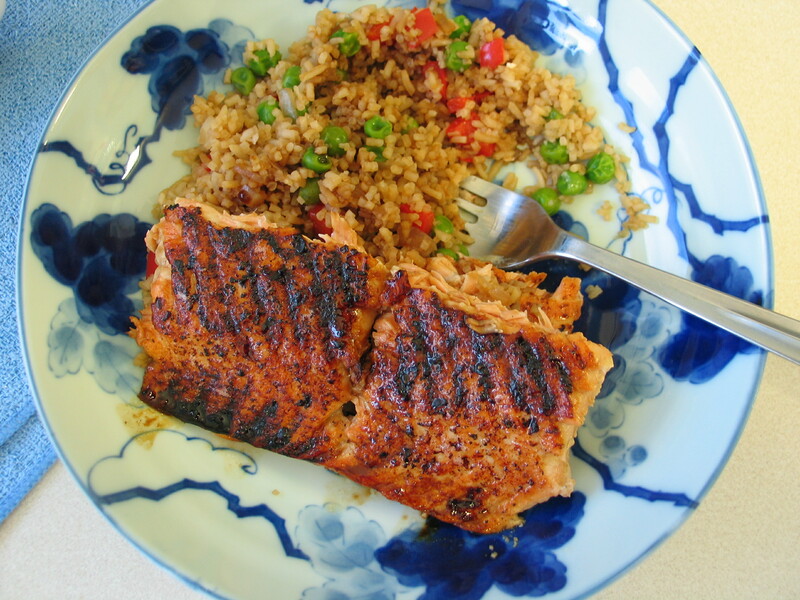 Wednesday we enjoyed this salmon with a made-up version of fried rice and a salad and last night it was a spinach, bacon and onion Frittata with toast and jam. 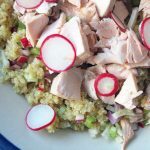 This recipe was adapted from Everyday Food and was super quick and lovely. Preheat the broiler, line a baking sheet with foil and place the cleaned and dried salmon on it. Rub the salmon with a bit of olive oil and sprinkle it with salt and pepper then broil it for 5 minutes. Whisk together the soy sauce, honey and orange juice, remove the salmon from the oven and brush it liberally with the glaze, then broil for 2 minutes, remove it and brush it again and broil it one more time for 2 minutes. I let it rest while I got everything else dished up and found it to be as done as we like it (and it was so much easier than trying to barbecue it in the winter). Enjoy!